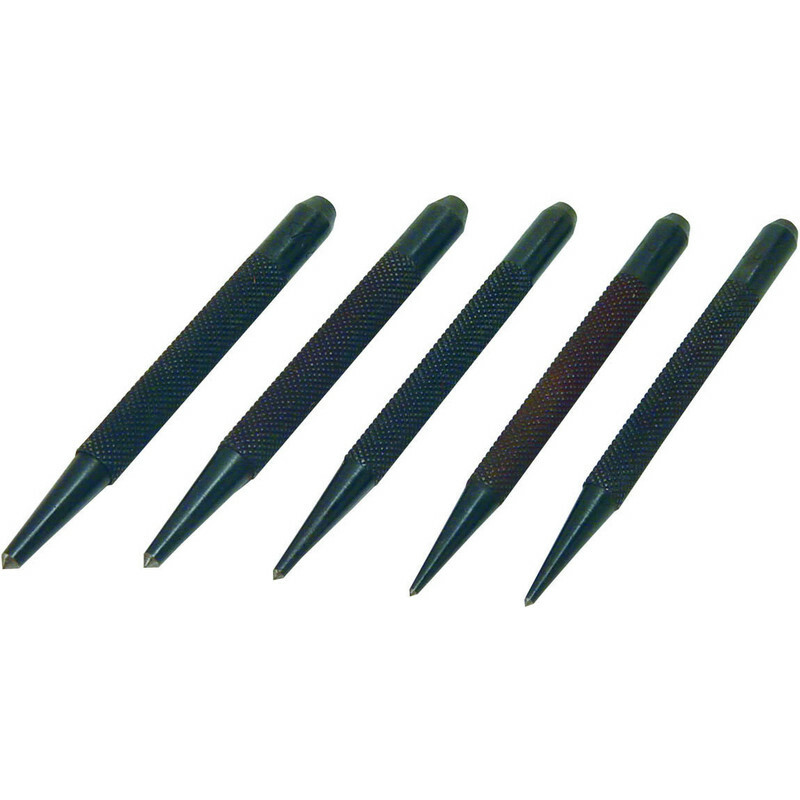 5 piece centre punch set. Square heads, knurled grip and polished tips. Hardened and tempered. 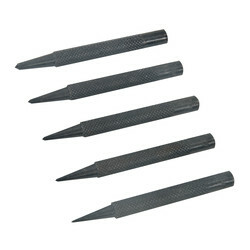 Centre Punch Set (5 Piece) is rated 3.8 out of 5 by 12. Rated 5 out of 5 by Lord Gordon from HITS THE RIGHT SPOT Should have bought them years ago.Helps with drilling both metal and with care wood. Seems to help the drill to start. Rated 2 out of 5 by danthegreat from Broke immediately! 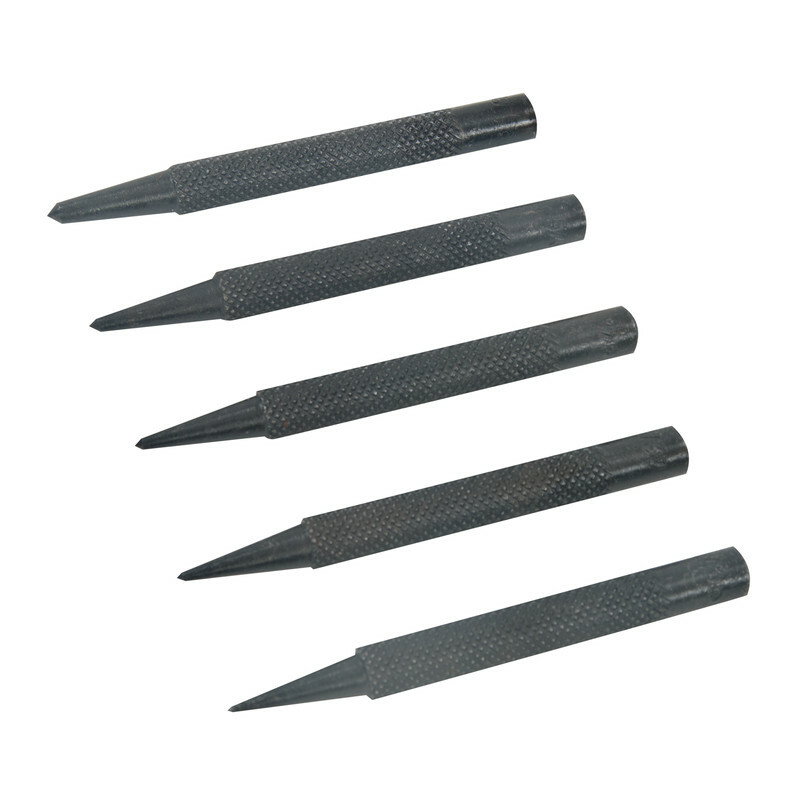 Used to punch nails thru floorboards, second biggest punch snapped during 1st use! Rated 5 out of 5 by Quincannon from great value product All appears in order. First class service. Thank you.